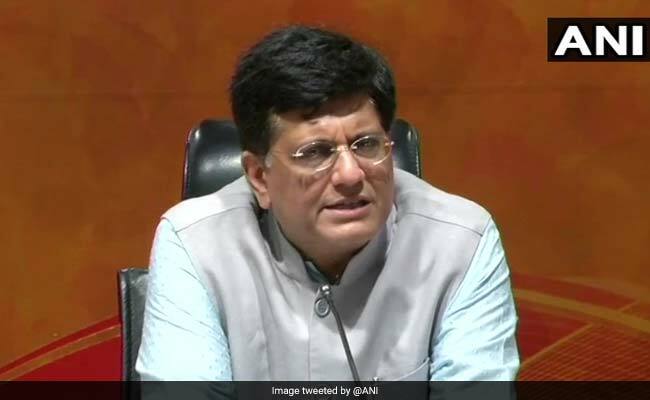 "The article, besides being in bad taste, questions the wisdom of senior functionaries of the level of secretary to the government of India and also casts aspersions on the Minister of Railways (Piyush Goyal)," a statement said. The Railway ministry has decided to take disciplinary action against Union minister Jitendra Singh's OSD or Officer on Special Duty for casting aspersions against its minister Piyush Goyal and questioning the wisdom of senior government officials in an article, according to official documents. Railway Board Secretary Ranjanesh Sahai has written to the Department of Personnel and Training asking for the immediate repatriation of Sanjiv Kumar, a 2005 batch officer of the Indian Railway Personnel Service for "breach of official decorum and misconduct". Mr Kumar is the Officer on Special Duty (OSD) to Jitendra Singh, who holds multiple portfolios, including minister of state in the Prime Minister's Office and for Development of North Eastern Region. "A case of breach of official decorum and misconduct of Sanjiv Kumar, IRPS, has been brought to the notice of railway board. Sanjiv Kumar has authored an article, published by two websites," Mr Sahai wrote in his letter to the DoPT. "The article, besides being in bad taste, questions the wisdom of senior functionaries of the level of secretary to the government of India and also casts aspersions on the Minister of Railways (Piyush Goyal)," it said. "...it is proposed to take up the officer under the Railway Servants (Discipline and Appeal) Rules, 1968. You would appreciate that a misconduct of this nature and that too in the public domain would send a wrong message all around and encourage indiscipline in the service," the letter dated December 28, 2018, said. Mr Sahai asked DoPT Secretary C Chandramouli "to consider immediate repatriation of Sanjiv Kumar, IRPS, to this ministry for taking action as deemed appropriate". It added that the issue had the approval of the Railway Board chairman. Ashwani Lohani retired as Railway Board chairman on Monday. Mr Kumar has been vocal in raising concerns related to the alleged wrong functioning of some wings of the Railway ministry. "The article written by Mr Kumar clearly mentions that all is not good in the Railway ministry. It needs immediate intervention of the Prime Minister's Office," said an officer requesting anonymity. The Railway ministry has internally transferred another officer for allegedly raising concerns on cadre related issues. Chetan Prakash Jain, a 1994 batch IRPS officer, executive director, Establishment (GC) has been appointed executive director, Establishment (G), which officials say is a less significant charge. Anand Singh Khati has been appointed in his post, officials said, citing an order. On December 14, Mr Jain, along with some other officials, presented a memorandum to Singh, who is also minister of state for Personnel, saying the Railway Board has not agreed with the recommendation of Cadre Review Committee (CRC) for keeping the post of 'member staff' exclusively for IRPS officers. IRPS officers and senior Railway Board functionaries were at loggerheads after the letter, officials said.